Homes in Breakaway Trails are 3, 4, and 5 bedroom single family residences. During calendar year 2005 and 2006, 102 homes were sold in Breakaway Trails for a low of $221,500 and a high of $735,000. Visit our Virtual Tour by Clicking here. Forest Quest is a small housing community North of Granada Boulevard and West of (-95. Homes in Forest Quest are typically 3 and 4 (and maybe a few 5 bedroom) bedroom single family residences. During calendar year 2005 and 2006, 8 homes were sold in Forest Quest for a low of $235,000 and a high of $330,000. Homes in Hunter's Ridge are 3, 4, 5 and 6 bedroom single family residences. During calendar year 2005 and 2006, 32 homes were sold in Hunter's Ridge for a low of $239,000 and a high of $855,000. The Tomoka Oaks community is nestled between U.S.1, Nova Road, the Tomoka River, Granada Boulevard and the Trails and surrounds the Tomoka Oaks Country Club Google Map. 38 homes (3, 4 and 5 bedrooms) were sold during calendar year 2005 and 2006 for a low of $202,000 and a high of $669,000. Many homes in this community have wonderful views of the Tomoka Oaks Country Club golf course and/or the Tomoka River. The Tomoka Oaks Country Club has a variety of amenities for its members and the public, including golf, tennis, a pool, health club and dining facilities. Living up to the "Oaks" in its name, this Club sits in a pictureque setting of oaks and provides a friendly family-oriented Club to relax and enjoy your leisure time. The Club plans a variety of renovations for the new year. The 18-hole "Tomoka Oaks" course at the Club features 6,745 yards of golf from the longest tees for a par of 72. The course rating is 72..1 and it has a slope rating of 124. Designed by J. Porter Gibson, ASGCA, the course opened in 1958. There are also a 30 tees driving range. Homes in Cypress Head are 2, 3, and 4 bedroom single family residences. During calendar year 2005 and 2006, 65 homes were sold in Cypress Head for a low was $163,000 and a high was $535,000. Homes in Pelican Bay are 2, 3 and 4 bedroom single family residences or 1, 2 or 3 bedroom condos. During calendar year 2005 and 2006, 179 homes were sold in Pelican Bay single famil residences for a low was $140,000 and a high was $675,000. The Spruce Creek Fly-In is just what it's name implies, a place to live that also has its own airport and the ability for a homeowner to be able to taxi into their own back yard and park their plane in their own hangar. There are other reasons to live in this community, however, including many social and recreational offierings, clubs and activities to keep everyone busy plus tennis and restaurants. There is also the Spruce Creek Country Club. The course winds through oaks and pines with some water among the greens. The design is set to satisfy and inspire all golfs, from the duffer to the professional. "Golf Digest" listed this course as one of the top five in the Volusia County area. The private airport may be made available to the public with arrangements beforehand. The golf course boasts 27 holes and was built in 1974 and designed by Bill Amick. The greens and fairway are Bermuda Grass. The course is open all year. Luxury lifestyle community in New Smyrna Beach. Executive homes offering 3, 4 and 5 bedrooms with courtyard entry garages and tile roofs. Ormond Beach, Volusia County, United States. The population was 36,301 at the 2000 census. As of 2004, the population recorded by the U.S. Census Bureau is 37,929. A resort area, Ormond Beach is home toTomoka State Park. Ormond Beach is located on ther northern end of what is known as the Greater Daytona Beach Area in Northeast Central Florida. For the vacationer, it offers hotel, motel and timeshare facilities as well as a variety of condominium rentals. Ormond Beach's nickname is the "Birthplace of Speed" because of the turn-of-the-century speed records that were set here. Ormond Beach is known for its famous drive-on beach, one of the few available in the world. Millions visit each year to attend automobile race events at the Daytona International Speedway. If you are thinking of moving here, you couldn't find a better spot. With a population of around 40,000 people, its big enough to have an excellent infracture and all kinds of excellent shopping opportunities and because its also a resort area, there are wonderful restaurants and other entertainment options. Geography- Ormond Beach is 29.1 miles of land and 3.3 miles of water. Drained by the Tomoka River, Ormond Beach is located on the Halifax River Lagoon and the Atlantic Ocean. The citiy's population was: 19.2% under the age of 18, 4.5% from 18 to 24, 22.4% from 25 to 44, 26.5% from 45 to 64 and 27.4% 65 years of age or older. The median age was 48. For every 100 females there were 87.8 males. For every 100 females age 18 or over, there were 84.7 males. The median income for a household was $43,364 and the median income for a family aws $52,496. The per capita income for the city was $26,364. Flagler County is a county located in the state of Florida. As of 2000, the population was 49,832. The U.S. Census Bureau 2005 estimate for the county is 76,410. Its county seat is Bunnell, Florida Geography - According to the U.S. Census Bureau, the county has a total area of 571 miles, 485 miles of it is land and 86 miles of it is water, much of it in the Atlantic Ocean. The total area is 15.03% water Demographics - As of the census of 2000, there were 49,832 people, 21,294 households, and 15,672 families residing in the county. The population density was 103 miles. There were 24,452 housing units at an average density of 50 miles. There were 21,294 households out of which 21.10% had children under the age of 18 living with them, 62.80% were married couples living together, 8.10% had a female householder with no husband present, and 26.40% were non-families. 21.60% of all households were made up of individuals and 12.00% had someone living alone who was 65 years of age or older. The average household size was 2.32 and the average family size was 2.67. In the county the population was spread out with 17.90% under the age of 18, 4.80% from 18 to 24, 20.30% from 25 to 44, 28.30% from 45 to 64, and 28.60% who were 65 years of age or older. The median age was 50 years. For every 100 females there were 92.10 males. For every 100 females age 18 and over, there were 89.90 males. The median income for a household in the county was $40,214, and the median income for a family was $45,625. Males had a median income of $31,184 versus $24,865 for females. The per capita income for the county was $21,879. According to the U.S. Census Bureau, ;the county has a total area of 1,432 miles, 1,103 miles of it is land and 329 miles of it is water, much of it in the Atlantic Ocean. The total area is 22.98% water. Palm Coast is a city in Flagler County, Florida, United States. The population was 32,732 at the 2000 census. As of 2004, the population recorded by the U.S. Census Bureau is 44,427. Palm Coast has been growing at a phenomenal rate, due to both immigration and annexation, so the population as of 2006 is probably pushing 60,000. Palm Coast is situated in the eastern portion of Flagler County, which is located on the Atlantic Ocean, in the heart of Northeast Florida, equidistant between the cities of Jacksonville and Orlando. Currently, the City of Palm Coast has a population of 60,000 residents and covers an area of approximately 60 square miles. Industrial parks within the city currently house more than 30 mid to large size businesses with the largest corporation, Palm Coast Data, employing close to 1,000 people. Flagler County has had one of the highest rates of population growth in the United States since 1990, according to the U.S. Bureau of the Census. Further, the University of Florida's Bureau of Economic and Business Research predicts Flagler County will experience one of the highest job growth rates in Florida between 1995 and 2010. Developed by ITT Corporation in 1969, the original development plan encompasses 48,000 home sites on approximately 42,000 acres (160 km²) of the 68,000 acres (280 km²) owned by ITT. Paved street and central water and sewer serve all lots developed within the plan. An extensive water management system was designed to replenish the area's water table, which includes 46 miles of freshwater canals and 23 miles of saltwater canals. In 1975, the Flagler County Board of County Commissioners established Palm Coast Service District, which included almost 40,000 acres (160 km²). Funds for the district were derived primarily from ad Valorem taxes and were utilized to provide fire services, fire hydrants, street lighting, animal control and emergency services. In September 1999, the citizenry of Palm Coast voted overwhelmingly by a margin of two to one to incorporate as a council/manager form of government. On December 31, 1999, the City of Palm Coast was officially incorporated. On October 1, 2000, all services were officially transferred from the former Service District to the City of Palm Coast. The five-member City Council is elected at large and serves staggered four-year terms. One member is elected as Mayor. The promulgation and adoption of policy are the responsibility of the Council and the execution of such policy is the responsibility of the council appointed city manager. The city hired its first city manager on April 17, 2000. The city provides a wide range of services including development services, fire services, street construction and maintenance, parks and recreational activities. Palm Coast contracts with the Flagler County Sheriff's Office for law enforcement services. The city currently has plans under way for a new City Hall, a town center, new fire stations, and additional lands for parks. Preservation and protection of environmentally sensitive lands is a key goal of this city as it prepares for the future. According to the United States Census Bureau, the city has a total area of 51.7 miles, 50.7 miles of it is land and 1.0 miles of it (1.90%) is water. As of the census of 2000, there were 32,732 people, 13,628 households, and 10,534 families residing in the city. The population density was 645.4/mile. There were 140,929 housing units at an average density of 294.4/mile. There were 13,628 households out of which 22.4% had children under the age of 18 living with them, 66.6% were married couples living together, 8.1% had a female householder with no husband present, and 22.7% were non-families. 18.6% of all households were made up of individuals and 11.9% had someone living alone who was 65 years of age or older. The average household size was 2.38 and the average family size was 2.68. In the city the population was spread out with 18.5% under the age of 18, 4.6% from 18 to 24, 19.7% from 25 to 44, 26.9% from 45 to 64, and 30.2% who were 65 years of age or older. The median age was 51 years. For every 100 females there were 90.4 males. For every 100 females age 18 and over, there were 87.6 males. The median income for a household in the city was $41,570, and the median income for a family was $45,818. Males had a median income of $31,976 versus $24,637 for females. The per capita income for the city was $21,490. Daytona Beach is a city in Volusia County, Florida, USA. As of 2004, the population estimates recorded by the U.S. Census Bureau is 64,422. Daytona Beach is a year-round resort area, and home to Embry-Riddle Aeronautical University, Bethune-Cookman College, Daytona Beach Community College, and Keiser College Daytona Beach Campus. The city is also home to the Daytona Cubs, a minor league baseball team of the Florida State League. Daytona Beach is well-known for its beaches. It is one of the few places in the world where a family car can be driven on an ocean beach. Most other driving beaches require 4 wheel drive or other special equipment. In the past Daytona Beach catered to spring breakers, but in recent years many of the breakers have migrated to other sites. As host of the Daytona 500, the opening race of the NASCAR Nextel Cup season, Daytona Beach caters to almost 200,000 visitors during Speed Weeks in early February. The city and its beaches, lined with hotels, motels, condominiums and houses, attract over 8,000,000 tourists each year. In a wide variety of price ranges, hotel and motel rooms are typically plentiful except during special events. Daytona Beach has high security around its main hotel locations, with multiple cameras filming hotel and beach areas. During motorcycle events (Bike Week and Biketoberfest), several hundred thousand bikers from all over the world visit the greater Daytona Beach area. While the city is often associated with Spring Break, the efforts of the local government to discourage rowdiness, combined with the rise of other Spring Break destinations, have nearly ended Daytona's former preeminence as a Spring Break destination. Indeed, so few students (relative to past years) have come since 2002 that officials stopped estimating their numbers. Daytona Beach is also home to the headquarters of the LPGA. History - The area was once inhabited by the Timucuan Indians, who lived in fortified villages. War and disease, however, would decimate the tribe. Florida was acquired from Spain by the United States in 1821, although permanent settlement was delayed until after the Second Seminole War from 1835 to 1842. When the Civil War ended, Florida experienced a boom in tourism. The city was founded in 1870 and incorporated in 1876. It was named for its founder, Matthias Day. In 1886, the St. Johns & Halifax River Railway arrived in Daytona. The line would be purchased in 1889 by Henry Flagler, who made it part of his Florida East Coast Railway. The separate towns of Daytona, Daytona Beach and "Seabreeze" merged as "Daytona Beach" in 1926, at the urging of civic leader J.B. Kahn and others. By the 1920s, it was dubbed "The World's Most Famous Beach." Daytona's wide beach of smooth, compacted sand attracted automobile and motorcycle races beginning in 1902, as pioneers in the industry tested their inventions. The area would be nicknamed "The Birthplace of Speed." On March 8, 1936, the first stock car race was held on the Daytona Beach Road Course. In 1959, William France created Daytona International Speedway to replace the beach course. Automobiles are still permitted on the beach, although now only at slow speeds. Culture - Daytona Beach is located roughly at the southern end of the cultural South, so its culture has remained somewhat Southern, but due to mass migration from Northern states, it is in many ways more similar to South Florida. It should be noted however that South Florida has a major Hispanic influence, which is not as prevalent in Central Florida. Its Southern heritage cannot be completely forgotten however, thanks to the presence of NASCAR. The architecture and style of its older homes and buildings and the culture and speech of its older, locally-born inhabitants leaves no doubt as to its cultural roots. Ponce de Leon Inlet Light, 2nd tallest in the U.S. According to the United States Census Bureau, the city has a total area of 64.9 miles, 58.7 miles of it is land and 6.2 miles of it (9.63%) is water. Daytona Beach is located on the Halifax River lagoon, part of the Atlantic Intracoastal Waterway, and Atlantic Ocean. As of the census of 2000, there were 64,112 people, 28,605 households, and 13,844 families residing in the city. The population density was 1,092.6/mile. There were 33,345 housing units at an average density of 568.3/mile. There were 28,605 households out of which 18.0% had children under the age of 18 living with them, 30.1% were married couples living together, 14.5% had a female householder with no husband present, and 51.6% were non-families. 39.4% of all households were made up of individuals and 14.4% had someone living alone who was 65 years of age or older. The average household size was 2.06 and the average family size was 2.77. In the city the population was spread out with 17.6% under the age of 18, 16.6% from 18 to 24, 25.6% from 25 to 44, 20.5% from 45 to 64, and 19.7% who were 65 years of age or older. The median age was 37 years. For every 100 females there were 99.7 males. For every 100 females age 18 and over, there were 98.5 males. The median income for a household in the city was $25,439, and the median income for a family was $33,514. Males had a median income of $25,705 versus $20,261 for females. The per capita income for the city was $17,530. Port Orange is a city in Volusia County, Florida, United States. The population was 45,823 at the 2000 census. As of 2004, the population recorded by the U.S. Census Bureau is 52,793. History - Port Orange was founded in 1867 by Dr. John Milton Hawks on the banks of the Halifax River. Dr. Hawks was a surgeon of the United States Army and founded the Florida Land and Lumber Company with fellow officers of the Union Army after the Civil War and settled 500 freed slaves north of Spruce Creek on Halifax River. In 1867 Dr. Hawks moved the settlement, which he called Orange Port, to its present location. Because the city name was already taken, he named the settlement Port Orange in the same year. Geography - According to the United States Census Bureau, the city has a total area of 26.7 miles, 24.7 miles of it is land and 2.0 miles of it (7.39%) is water. As of the census of 2000, there were 45,823 people, 19,574 households, and 13,232 families residing in the city. The population density was 1,854.7/mile. There were 21,102 housing units at an average density of 854.1/mile. The median income for a household in the city was $38,783, and the median income for a family was $44,684. Males had a median income of $32,147 versus $22,391 for females. The per capita income for the city was $20,628. Flagler Beach is a city in Flagler County, Florida, United States. The population was 4,954 at the 2000 census. As of 2004, the population recorded by the U.S. Census Bureau is 5,228. Geography - According to the United States Census Bureau, the city has a total area of 4.1 miles), 3.7 miiles of it is land and 0.4 mile of it (9.80%) is water. As of the census of 2000, there were 4,954 people, 2,535 households, and 1,493 families residing in the city. The population density was 1,345.1/mile. There were 3,224 housing units at an average density of 875.4/mile. There were 2,535 households out of which 12.9% had children under the age of 18 living with them, 50.6% were married couples living together, 6.5% had a female householder with no husband present, and 41.1% were non-families. 33.8% of all households were made up of individuals and 16.9% had someone living alone who was 65 years of age or older. The average household size was 1.95 and the average family size was 2.43. In the city the population was spread out with 11.5% under the age of 18, 4.4% from 18 to 24, 20.0% from 25 to 44, 32.5% from 45 to 64, and 31.5% who were 65 years of age or older. The median age was 53 years. For every 100 females there were 92.8 males. For every 100 females age 18 and over, there were 91.2 males. The median income for a household in the city was $37,917, and the median income for a family was $47,073. Males had a median income of $31,848 versus $30,132 for females. The per capita income for the city was $24,600. Kory Grayson is a highly motivated, energetic and successful REALTOR with Adams, Cameron & Co. She produced over 14 million dollars of volume last year with her own team, and was awarded a President's Club Membership for ranking in the top twenty of over 250 agents with our company. She also ranked 7th out of over 1400 REALTORS in the Daytona Beach Board of REALTORS in Buyer Sales for the year. She is originally from the Dayton Ohio area. She has spent over twenty years working in the customer service/sales industry. Kory has owned a desktop publishing company, giving her an edge in this Internet based market. She has also worked in a family restaurant (owned by her father) for 16 years in Lebanon, Ohio, managed the sales floor of a ladies boutique, coached gymnastics in several local schools and was an Office and Service Manager of a local retirement community in Ormond Beach. She also is very health conscious and takes a great interest in nutrition. Kory is passionate and driven in her career and with good reason. She wants to be certain that her two children, ages 10, 12, her two stepchildren, also ages 10, and 12, have every opportunity to grow up healthy, happy, and educated citizens. Kory is very knowledgeable of her local residential areas and Schools and recreation facilities and programs. Kory works to aid home buyers in their search for a new home, however also heavily pursues listing homes and seeking out investment opportunities for her clients. Since she views approximately 1,500 properties a year, she can provide sellers with valuable tools and information as to what buyers are looking for in a home. Kory comes from a Real Estate family, with her Father, Husband, two Brothers and a Sister all holding active Real Estate licenses in Florida and/or Ohio. You can count on real estate as the main topic of conversation at their family gatherings! Additionally, she will market your property in any manner which appears to provide the opportunity to achieve the best possible price and terms of sale for you. She has formed a Home Staging Business as well called Looks to Sell, LLC to give Sellers an edge in this very competitive market by making their home sell faster and for more money. Ask her about it. EXPERIENCE: Kory's sales numbers and happy homeowners speak for themselves. During the past six years of selling real estate, she has successfully closed more than 100 transactions. Over 88% of her business is referral-based from past clients, friends and family. Her customers are both satisfied and express their enjoyment in working with Kory – please look at her testimonials on this site. Her philosophy involves constant communication and personalized service. She believes in providing her clients with the full attention they deserve in every aspect of making what is to most people, the largest financial endeavor of their lives. She employs a Real Estate Coach, a web/technical professional and has several agents both here in the Daytona Area and Nationwide to help with any type of transaction, whether commercial, residential, investment, etc. COMMUNITY INVOLVEMENT: Kory is an active volunteer/member of: Tomoka Elementary School PTA, Hinson Middle School PTA, Ormond Beach Chamber of Commerce, Daytona Beach Chamber of Commerce, American Cancer Society and St. James Episcopal Church. 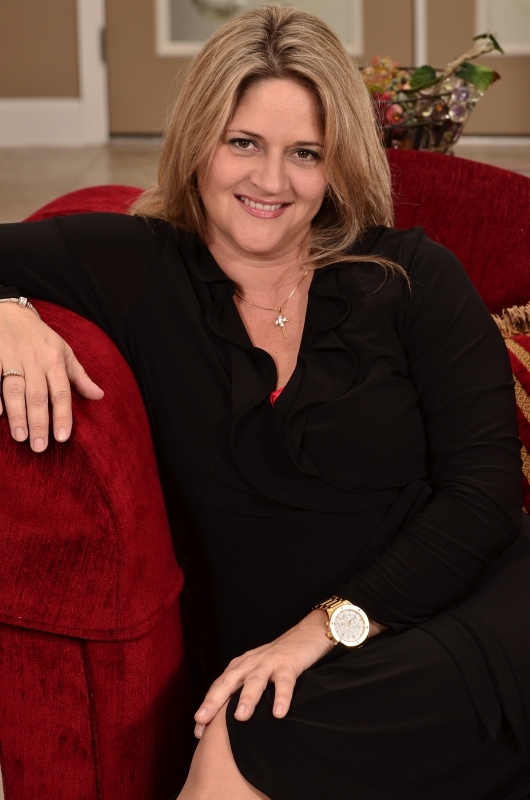 She is also an Accredited Staging Professional REALTOR with StagedHomes.com, Greater Daytona Beach Chapter President of IAHSP (the International Association of Home Staging Professionals) and member of both the Flagler Beach Realtor Association and Daytona Beach Realtor Association. Kory was also a founder, with four others moms, of the Spruce Creek Fly-In Children's Recreation Committee in which these "monster moms" raised over $100,000 for the construction of Landing Pad Park. SPECIALTY: Residential and Commercial properties: Single family homes, luxury/waterfront homes, warehouses, condominiums, investment and land sales and commercial leases. Extensive knowledge of properties in Port Orange, South Daytona, Holly Hill, Daytona Beach, Ponce Inlet, Flagler Beach, Palm Coast, Ormond Beach, and Ormond By The Sea. Property Management: Kory assists her investors with their income properties by finding tenants, covering maintenance and utility issues along with day-to-day operations. Kory receives referrals from agents all over the country when they have Buyers moving to the area and need someone they can trust to take care of their clients. Lin brings a broad background of business, association and legal expertise to the team where she handles the web and marketing work. Industry Relations and Communications/Media Relations/Promotion - Demonstrated success in tackling new challenges and bringing them to successful conclusions, e.g. - Developed and managed first (plus two more) tradeshow/conferences with 50,000 square feet of trade show floor, educational programs and on-site and off-site social events. - Created content and design for first website and continued site evolution (www.afifnet.org). Site now utilized as critical resource for Industry, Members and Media. - Promoted AFIF Members through tradeshows and a video (developed with producer, including shooting and editing). - Cultivated relationships with media, resulting in stories showcasing industry on CNBC, CNN and PBS. Website Design and Updating and Marketing – Proven ability to design websites and responsible for keeping various real estate websites content current and evolving. Responsible for team print advertising, handling content and layout. Advocacy/Regulatory Compliance/Government Relations - Proven ability to cultivate productive relationships with key congressional and regulatory decision makers, which resulted in programs saving Industry millions of dollars each year, e.g. - Implemented USDA release program based on risk, reducing inspections by 50%. - Doubled regular-time agriculture inspection hours to 16 hours a day, 6 days a week. Legal (Corporate, Partnership, Real Estate, Securities, Franchising, Associations) - Responsible for variety of legal matters, both as management and a paralegal, e.g. - Prepared and filed all SEC and State securities compliance reporting for 12 public limited partnerships in 50 states as well as State broker-dealer registrations. Designed, developed and maintained computerized calendaring systems for such filings. - Worked with industry and counsel on antidumping and countervailing duty matters and participated in a process that resulted in the end of a 17-year antidumping action. - Responsible for day-to-day operations for law offices, corporations and an association, including ability to set goals and priorities, handle the details and team-build with co-workers, executives, lawyers, board members, staff and volunteers. Lin has served as Co-Chair for the Perishable Coalition for the Greater Miami Chamber of Commerce; served on the Agriculture Subcommittee of COAC (the Advisory Committee to Commercial Operations for U. S. Customs & Border Protection). Lin is a graduate of U. S. Chamber of Commerce Institute “Association CEO Track”, a four-year program; has held a National Association of Securities Dealers DPP Principal License and Certified Legal Assistant. Lin’s education includes attending Barry University and she has her Legal Assistant degree from Miami-Dade Community College. She was a member of American Society of Association Executives, Florida Society of Association Executives (FSAE) and the FSAE CEO Council. She is also President and a member of the Board of Directors for the Cherokee Trails Homeowners’ Association. Ormond Lakes is a wonderful community of 606 Single Family Homes. The community has 15 lakes, including one that is 45 acres big. The Clubhouse is available for homeowners to rent for events of up to 125 people and features a full kitchen. The community pool is outside the Clubhouse. There is also a lake view Pavillion that is a perfect place for a picnic or BBQ. Or take a stroll along the lake on the community's board walk. This community is off of U. S. 1 between I-95 and Nova Road. Take a look at the virtual tour for the community. Also, take a look at a map of the Community (to reposition the map, click on the hand and drag the map any direction to show more of the community). Homes in Ormond Lakes are 3, 4, and 5 bedroom single family residences. During calendar year 2005 and 2006, 45 homes were sold in Ormond Lakes. The low was $259,000 and the high was $729,000. Take a look at a variety of the homes that sold during calendar year 2005 and 2006, along with some pertinent info about these homes. The Trails is located in the heart of Ormond Beach (take a look at the virtual tour by clicking here). Also, click map for a Mapquest map of the community (clock on the hand to reposition the map, in any direction). It is one of the premier communities in this city. The Trails cover 600 acres, with 990 homes and 3,400 residents. It also has 7 miles of bike paths, a club house with an olympic size pool, a tennis center and is adjacent to a large city park with tennis and handball courts, baseball diamonds, a children's park and picnic facilities. The Trails Shopping Center is adjacent to the Trails and contains some notable national chains such as Ann Taylor Loft, Talbot's Clothing Store, Joseph A. Banks Clothing, Merle Norman Cosmetics, Chico's Clothing Store, Radio Shack and Panera Bread Restaurant as well as a Publix Supermarket and CVS Pharmacy, and local stores as well including a florist, liquor store, an Italian restaurant and the Ormond Steak House. Homes in The Trails are typically either 3, 4 or 5 bedroom single family residences (individual homes) (some residences are larger as there are estate homes in this community) or 2, 3 or 4 bedroom single family attached (double, triple or quadruple units). During calendar 2005 and 2006, 87 homes were sold in The Trails. For the Single Family Residences, the low was $198,000 and the high was $645,000. For the Single Family Attached, the low price was $130,000 and the high was $245,000. This community is full of mature foliage, center landscaped islands in their roads and is very "kid friendly". This would be a lovely place to call home.